We are open every day from 10 AM to 11 PM. 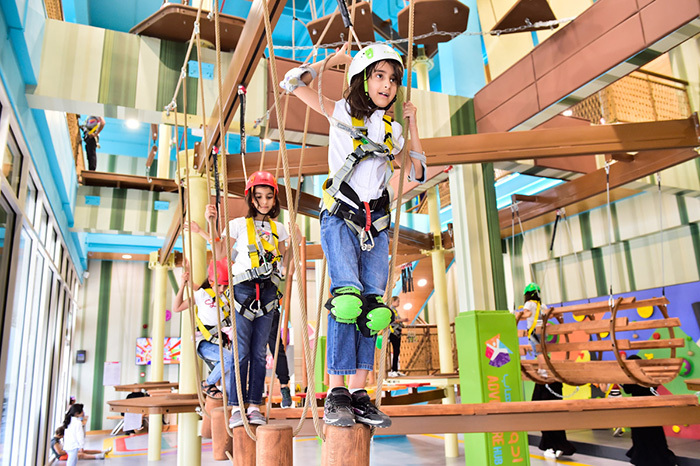 Adventure Hub offers the largest artificial indoor caving structure in the Kingdom of Bahrain. These beautiful underground areas provide an immerse experience for you if you are willing to crawl and wiggle through them. 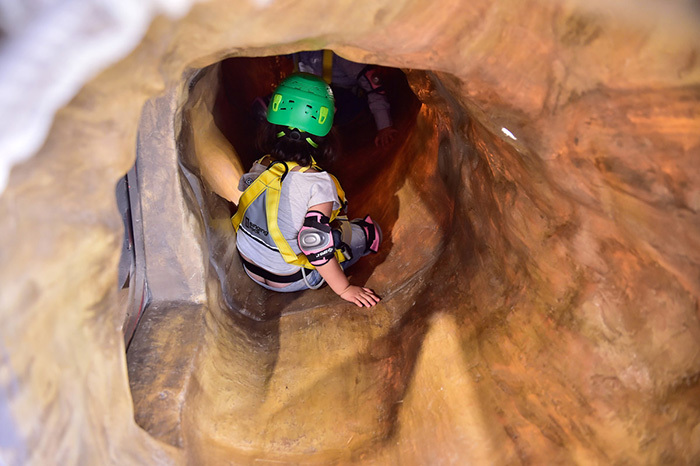 As exciting as it is challenging, caving is a great adventure that will require you to slide, crawl, turn, and twist your way through our 54 metre indoor caving structure. 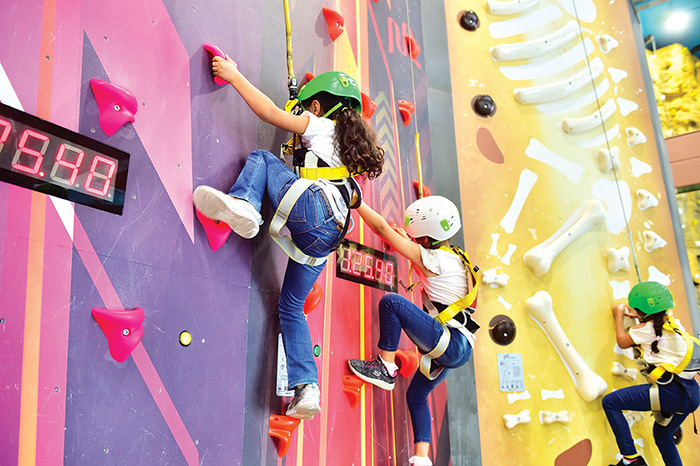 Packed with adventure, fun walls are the best way to disciple your mind and body. Great way to train yourself for the next round of courses, as accomplishing this task would boost your energy and confidence and prep you for the next adventure. As the name suggests, rock wall will give you the ultimate feeling of being outdoors. Enjoy the adventure of climbing a natural-feel steep wall and strengthen your grip while you’re at it. Time your climb with your friends and participate in a healthy competition. For tinies Adveture Hub offers a soft play area filled with brightly coloured tubes, tunnels, ball ponds and slides. Toddlers and older children, meanwhile, can enjoy a modestly sized adventure play frame and many more exciting activities. 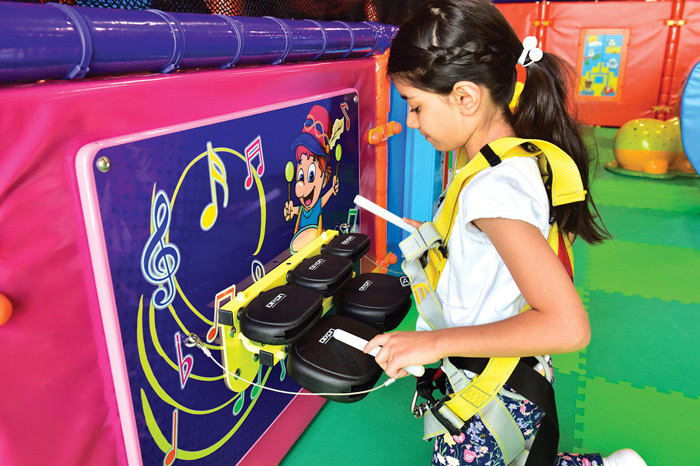 Work your way through 15 ever-changing obstacles while wearing a secured body harness. 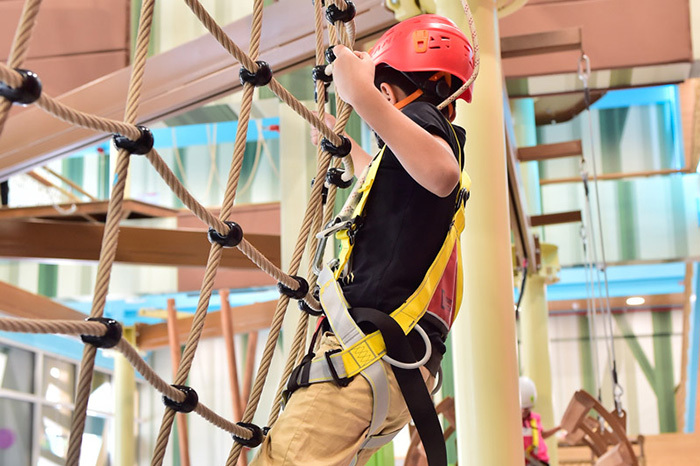 Balance on thin ropes, climb over continuous belay lines, walk on thin planks, crawl through swinging tunnels and cross moving bridges, all while suspended at a 5m above the ground. This course is perfect for our younger guests. 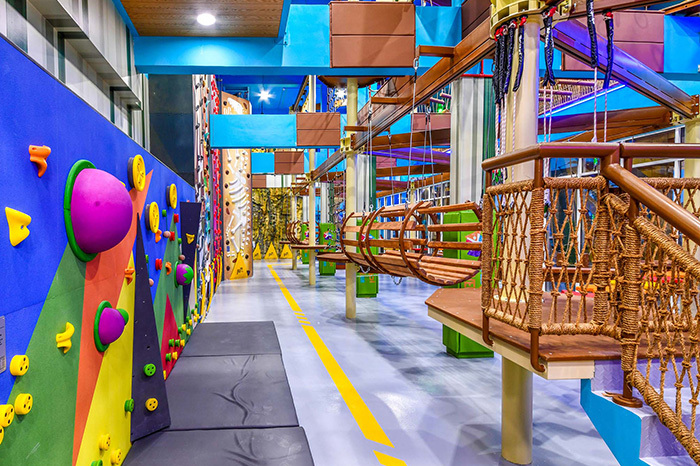 Explore a series of cables, ropes, and obstacles 1.2m above the ground. Low rope elements test the physical strength, stamina, agility, balance and flexibility of the young ones.